Welcome to Glenwood Garden Apartments! 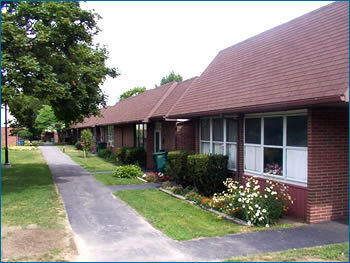 Located in the west side of Rochester, it has the feel of being nestled inside of a park! Our garden style apartments offer residents a true feeling of being at home. Our spacious one bedroom apartments are available to more mature residents. Visit us at Glenwood Gardens to see how you could be living in a park-like setting right here in Rochester!